A rocket fails in China, an astronaut's farewell, tracks on Mars and more stellar photos from July 2017. 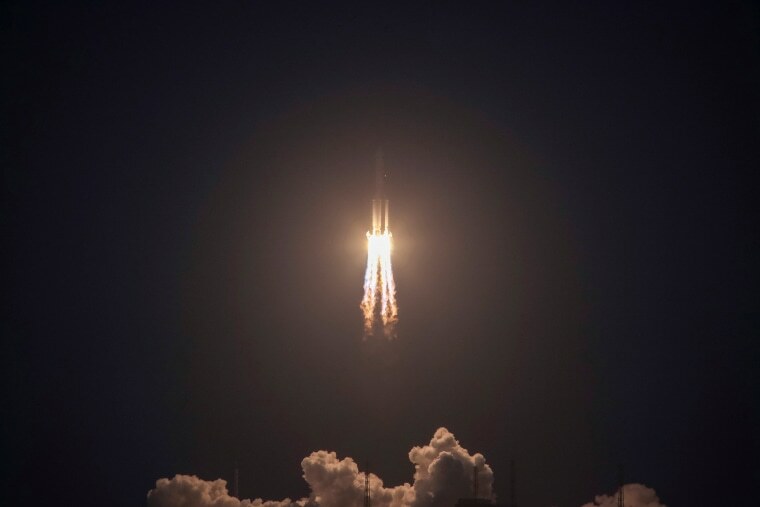 The Long March 5 Y2 rocket takes off from Wenchang Satellite Launch Center in Wenchang, China, on July 2. The rocket suffered an abnormality during the flight after what appeared to be a successful liftoff. The failure deals a rare setback to China's highly successful space program that could delay plans to bring back moon samples and offer rival India a chance to move ahead in the space rankings. 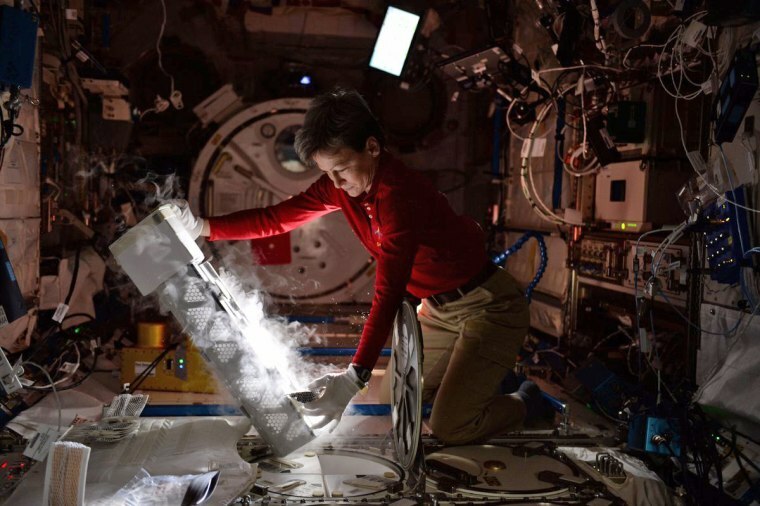 NASA astronaut Peggy Whitson stores blood samples in the ultra-cold freezer on the International Space Station (ISS) for eventual return to Earth in an image released on July 27. Researchers often request samples before, during and after a spaceflight to examine its effects. NASA's Juno spacecraft captured stunning images of Jupiter's iconic Great Red Spot during its flyby on July 10. As planned by the Juno team, citizen scientists took the raw images of the flyby and processed them, providing a higher level of detail than available in their raw form. 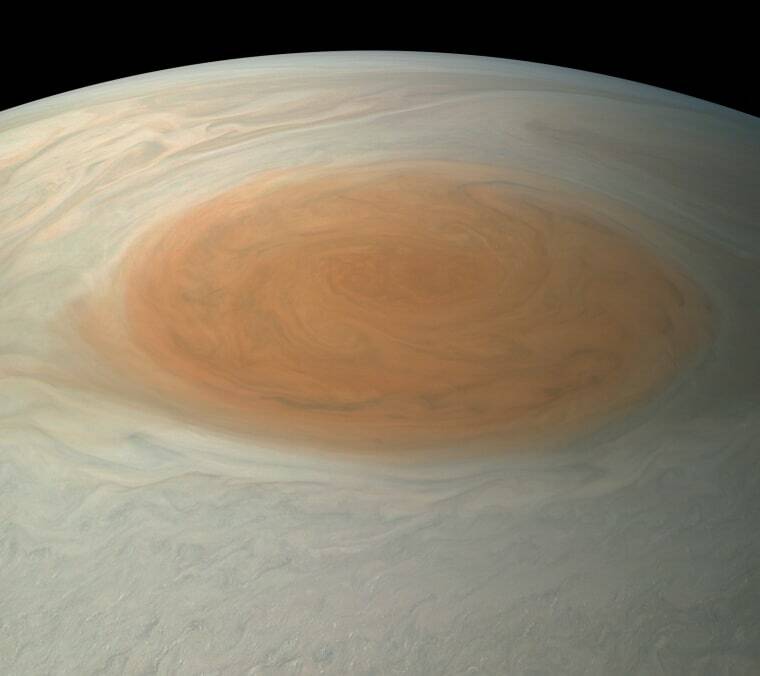 This image, processed by citizen scientist Bjorn Jonsson, shows what the Great Red Spot and surrounding areas would look like to human eyes from Juno's position. The swirling storm, 1.3 times as wide as Earth, has been monitored since 1830 and has possibly existed for more than 350 years. 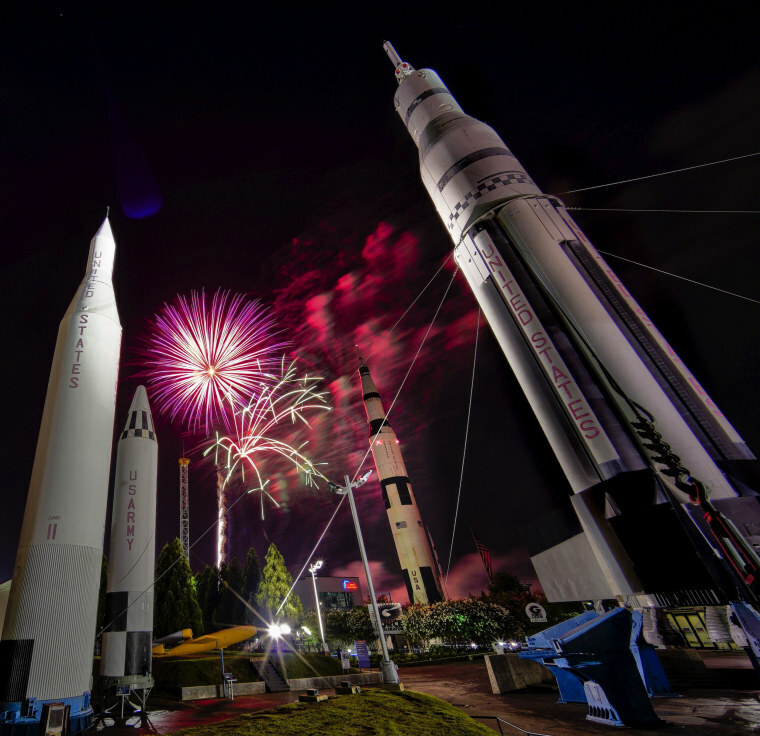 Fireworks explode during Independence Day celebrations at the U.S. Space & Rocket Center in Huntsville, Alabama, on July 4. 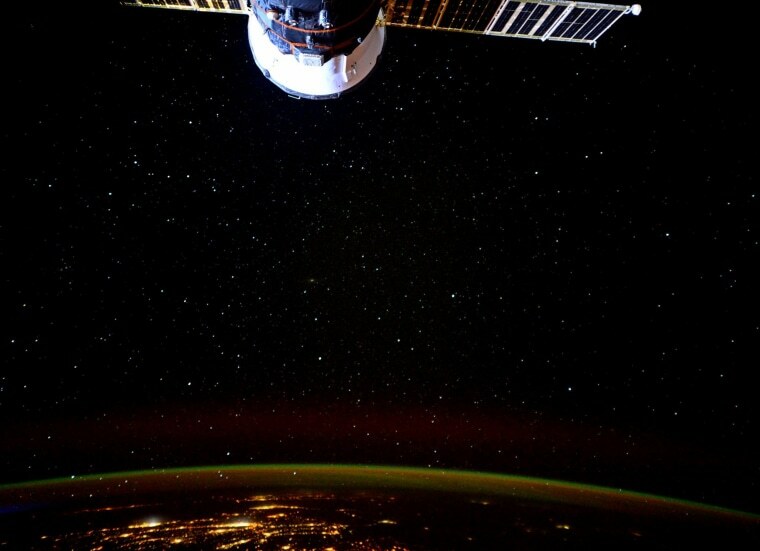 NASA astronaut Jack Fischer tweeted this photo from the space station on July 20, writing "Said goodbye to a Progress vehicle today and was treated to another beautiful view. Next vehicle brings 3 new crew - can't wait!" 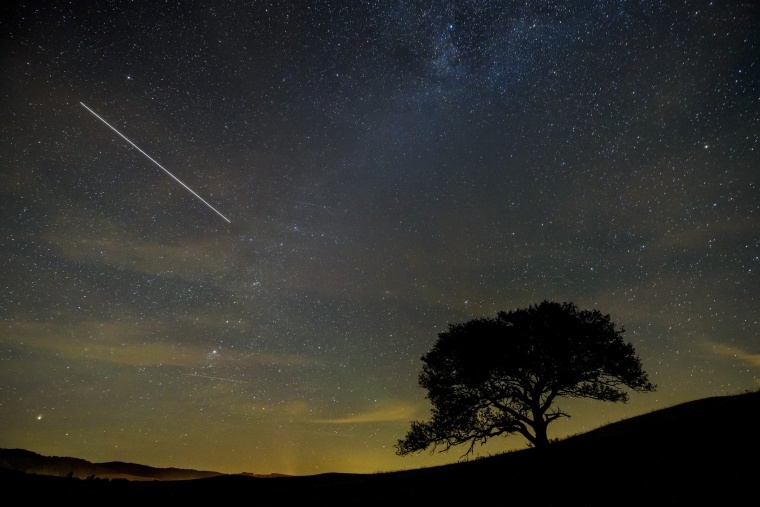 The orbiting space station makes a line across the night sky in this long-exposure photograph from Kazar, Hungary, on July 27. 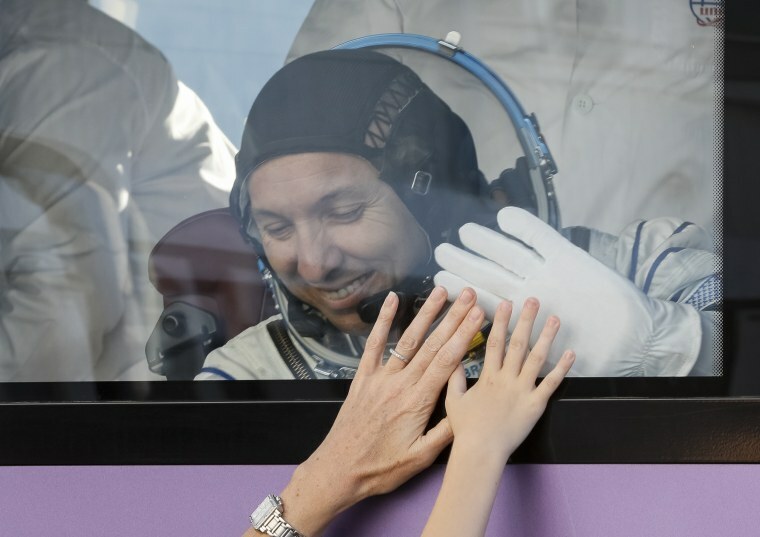 U.S. astronaut Randy Bresnik waves to his family from a bus prior the launch that carried him to the space station at the Russian-leased Baikonur Cosmodrome in Kazakhstan on July 28. It was his second spaceflight and his first long-duration mission: He flew to the ISS aboard a NASA shuttle in 2009. A Soyuz rocket carrying a new crew to the space station blasts off at the Baikonur Cosmodrome on July 28. Three veteran space travelers, Randy Bresnik, Russian cosmonaut Sergey Ryazanskiy and Italian astronaut Paolo Nespoli, began a 5-month mission to the station. The newcomers joined the three people already aboard the ISS: NASA astronauts Peggy Whitson and Jack Fischer, and cosmonaut Fyodor Yurchikhin. The Soyuz spacecraft carrying the three new space station crewmembers sheds its four boosters after blasting off on July 28. 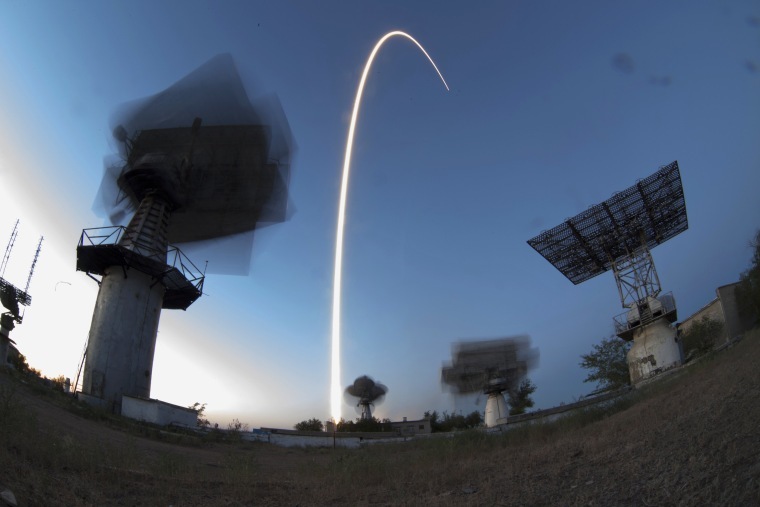 For more than a decade, Shamil Zhumatov has photographed spacecraft taking off from Baikonur. After dozens of launches, he says the challenge is to find new and better ways of taking pictures. "Most launches lately have taken place in during the daytime, and this one was special, happening on the edge of day and night, about 20 minutes after sunset," Shamil said. It was already dark on the ground, but the upper layers of the atmosphere were still lit by sun. A few minutes into the flight, the rocket sheds its four boosters as they exhaust their liquid fuel and can no longer propel the craft. In daytime, they can be only seen as four tiny dots. 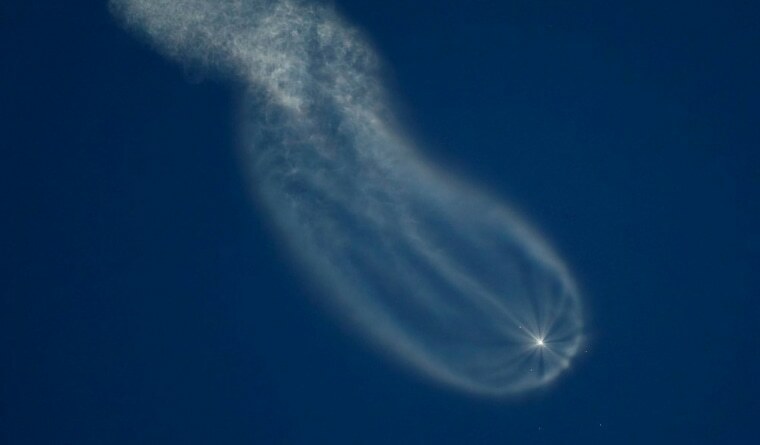 But for this launch, because the unusual lighting made Soyuz's condensation trail very bright, it was easy to see the cross-shaped pattern formed by the discarded boosters. NASA astronaut Jack Fischer tweeted this view of Earth from the space station on July 25, commenting "You see all seasons from orbit. 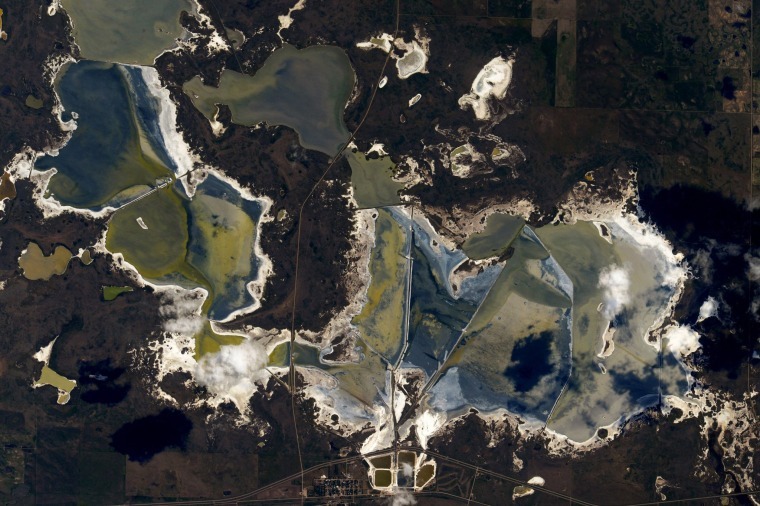 Saw this colorful lake and thought - part frozen, part not, but all awesome!" 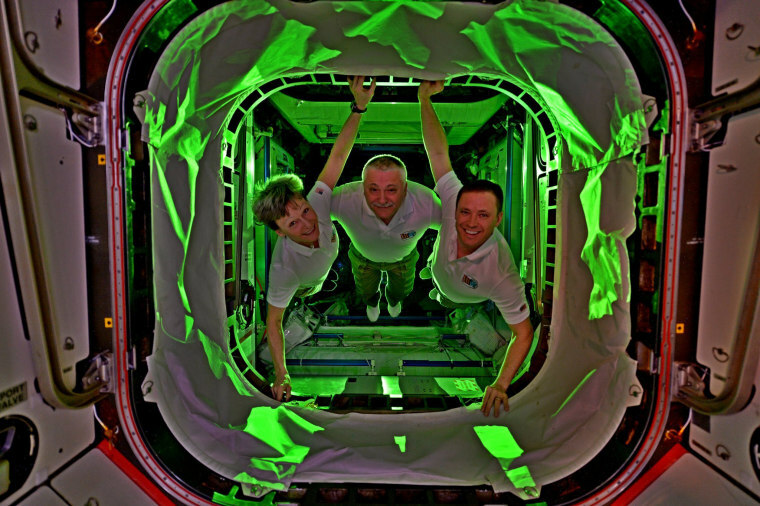 ISS crewmembers, from left, Peggy Whitson, Fyodor Yurchikhin and Jack Fischer pose for a group photo on July 16. "We decided to play with lights and make our crew picture. Remember black light bowling and roller rinks in the 80s? 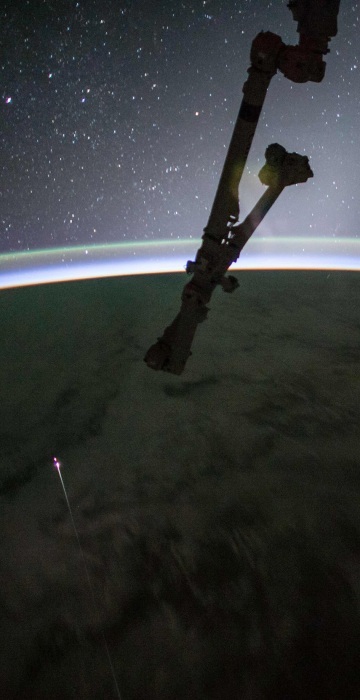 It's like that - only in space," said Fischer. This view from NASA's Cassini spacecraft gazes toward the rings beyond Saturn's sunlit horizon on July 16. At left, along the limb, the planet's edge, is a thin, detached haze. It vanishes toward the right side of the scene. Cassini will pass through Saturn's upper atmosphere during the final five orbits of the mission, before making a fateful plunge into Saturn on Sept. 15, 2017. 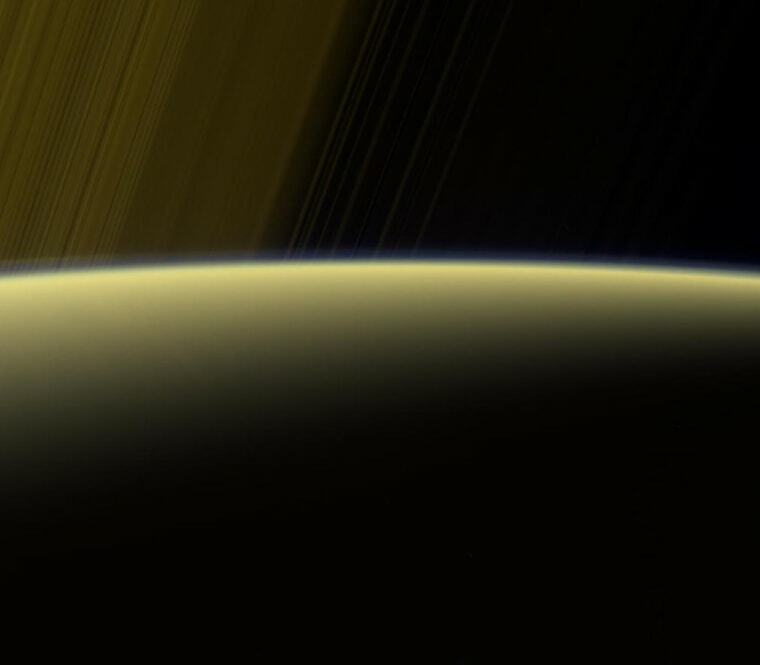 The region through which the spacecraft will fly on those last orbits is well above the haze seen here, which is in Saturn's stratosphere. 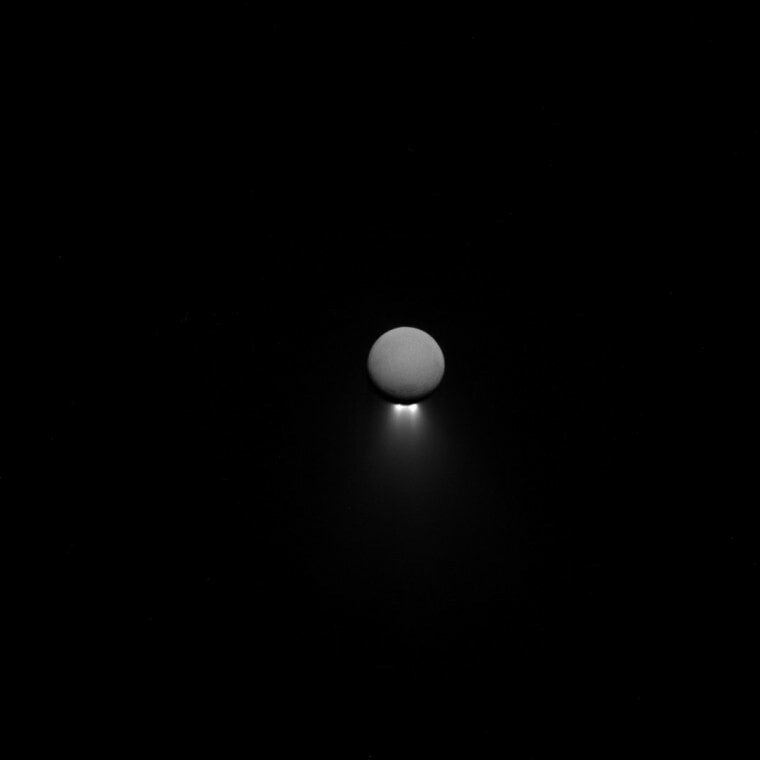 The intriguing south-polar jets of Enceladus, one of Saturn's many moons, are backlit by sunlight while the moon itself glows softly in reflected Saturn-shine in this image released on July 18. The Cassini mission has gathered a wealth of information in the hopes of unraveling the mysteries of the subsurface ocean that lurks beneath the moon's icy crust. Saturn has a total of 53 confirmed moons and another 9 provisional moons (for a possible total of 62 moons). NASA astronaut Victor Glover given an "OK" signal back to astronaut Daniel Burbank after jumping into the Gulf of Mexico from an Orion capsule during recovery testing about four miles off of Galveston Island, Texas, on July 13. 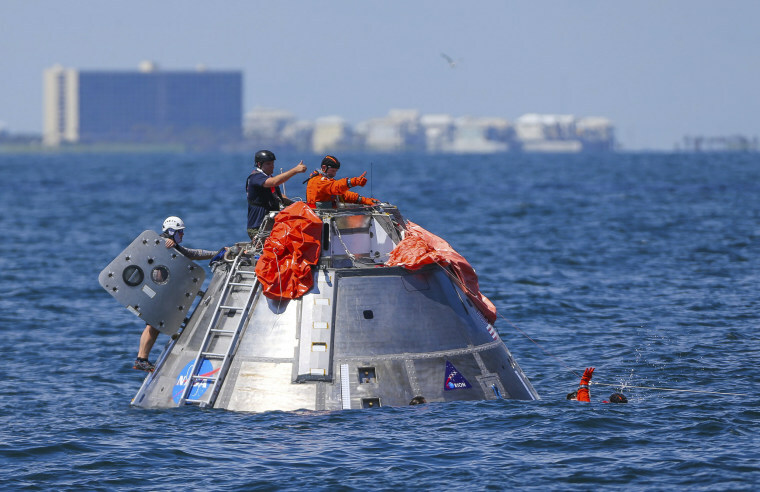 The testing was the first time since the Apollo program that NASA has practiced emergency egress techniques from a capsule in open water. 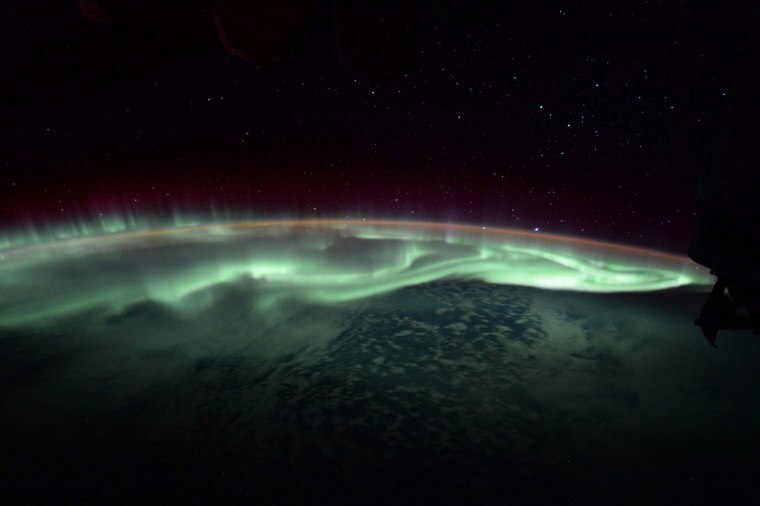 An aurora hovers above the Earth in this image captured aboard the ISS by Jack Fischer and released on July 11. "One of my favorite things to do in my free time is watch the Aurora—it’s almost alive, as it slathers up the sky in awesome sauce," wrote Fischer on Twitter. Auroras occur when electrically charged particles from the sun collide with neutral atoms in the upper atmosphere. 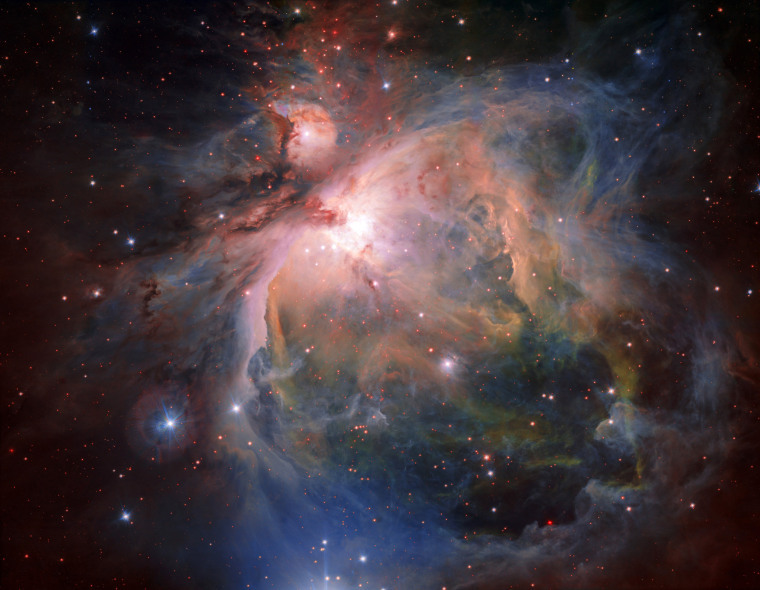 The Orion Nebula and its associated cluster of young stars are captured by the European Southern Observatory's OmegaCAM in an image released on July 27. The birthplace of many massive stars, the Orion Nebula is one of the closest stellar nurseries, at a distance of about 1,350 light-years. While photographing Mars, NASA's Hubble Space Telescope captured a cameo appearance of the tiny moon Phobos on its trek around the red planet. Discovered in 1877, the diminutive, potato-shaped moon is so small that it appears star-like in the Hubble pictures. 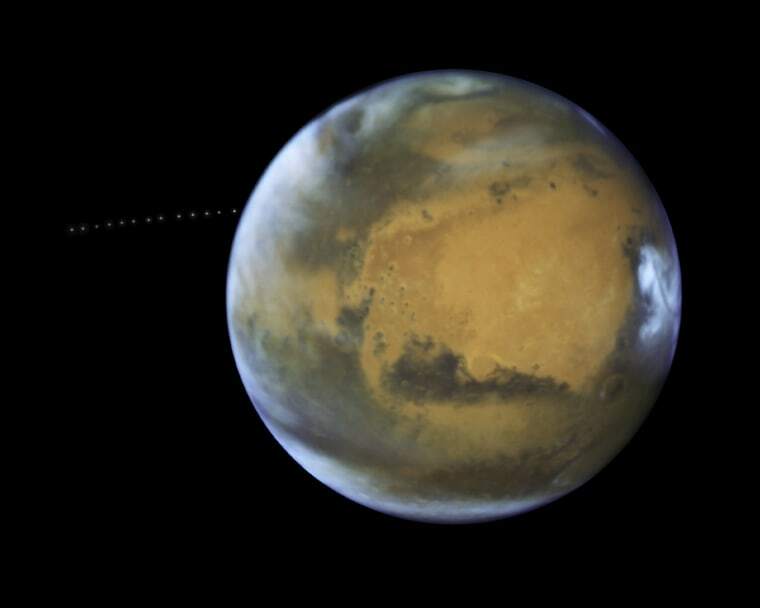 Phobos orbits Mars in just 7 hours and 39 minutes, which is faster than Mars rotates. The moon's orbit is very slowly shrinking, meaning it will eventually shatter under the planet's gravitational pull, or crash onto the planet. Image released on July 20. 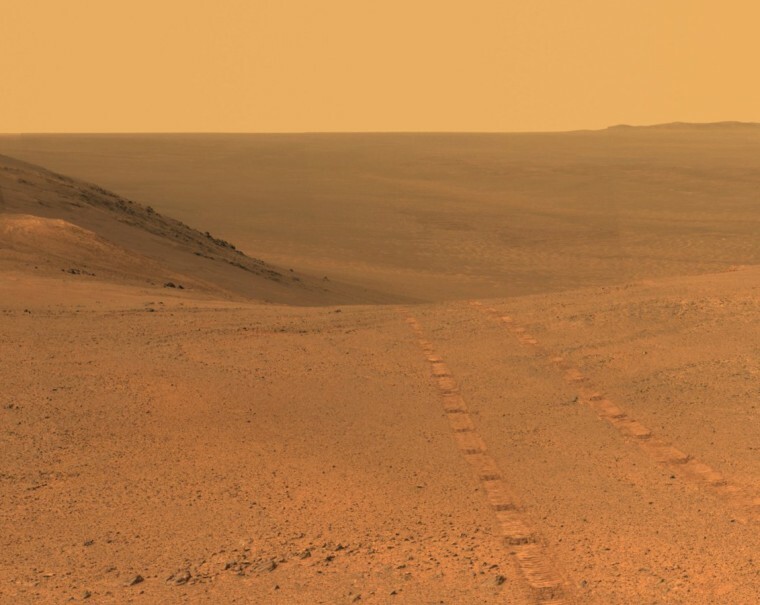 NASA's Mars Exploration Rover Opportunity recorded a panoramic view before entering the upper end of a fluid-carved valley, known as "Perserverance Valley," that descends the inner slope of a large crater's rim. The scene includes a broad notch in the crest of the crater's rim, which may have been a spillway where water or ice or wind flowed over the rim and into the crater. 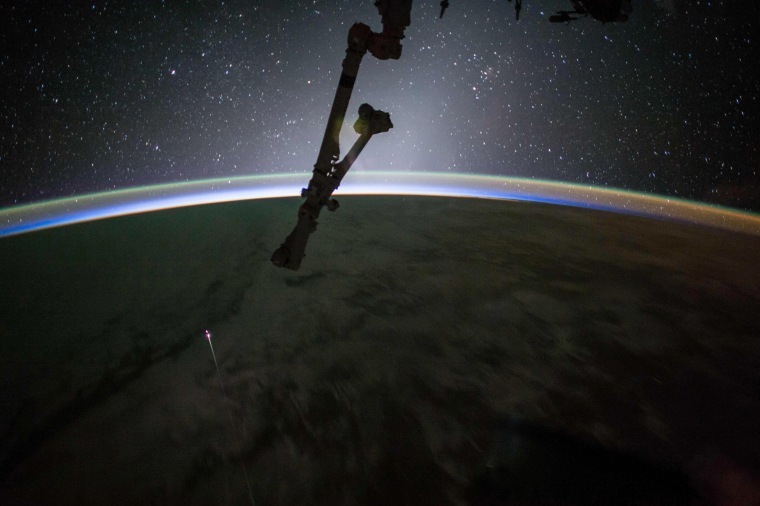 Jack Fischer captured the streak of the SpaceX Dragon capsule, lower left, as it reentered Earth's atmosphere before splashing down in the Pacific Ocean on July 3, 2017. A variety of technological and biological studies conducted on the station were returned to Earth in the Dragon cargo craft.